We are lead by Pastor Leray Glendenning and Pastor Stephen Sickels. 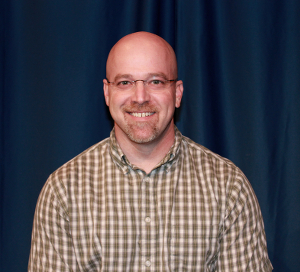 Stephen has been the Creative Arts pastor at Greater Life since 2003. He's been involved in ministry with youth, music, education and arts for almost 20 years. Stephen graduated from Southern Nazarene University in 2000 with a degree in Church music with an emphasis in Music Performance. He and his wife Nicole are very active in the worship at GLC and have been in ministry together for 19 years. We firmly believe in Expressive worship and Creativity at GLC. "Join us on the journey."